With her student days behind her and her career well underway, Sue and Bill, now married, together try to run a little hospital in the New England hills that was presented to the community by the town's wealthiest citizen, Elias Todd. Sue is Superintendent of Nurses, and her old friend Kit is helping her along with many of her fellow students from her years of training. After all the exciting nursing adventures these two girls have shared together, one might think they would find their new work rather tame. It is anything but tame for Sue, however, with that irrepressible street urchin, Marianna, as a student nurse; with Jean Ditmarr, sophisticated New Yorker, thinking she could put something over on the young Superintendent; with Dr. Bill so busy being a good doctor that Sue feared for a while he might not prove such a good husband; and above all, with the mysterious disappearance of the hospital sheets! Sue Barton is at her best with all the excitement and fun that this nurse seems destined to find in her nursing profession. 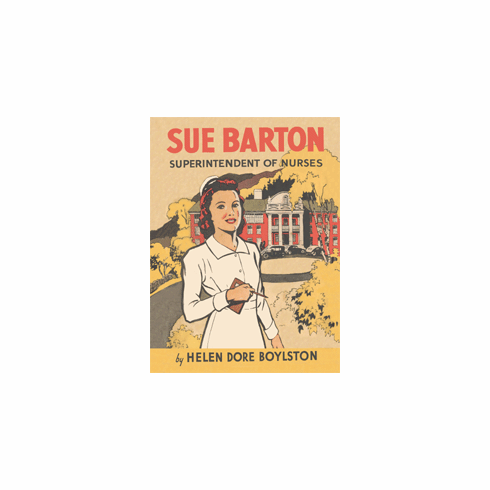 The authentic setting of rural hospital life is the perfect backdrop for another great Sue Barton story.